*SPECIAL 48 HOUR CHRISTMAS SALE. The Black Is Tech Conference is returning for a full 2 day event in April 2019. 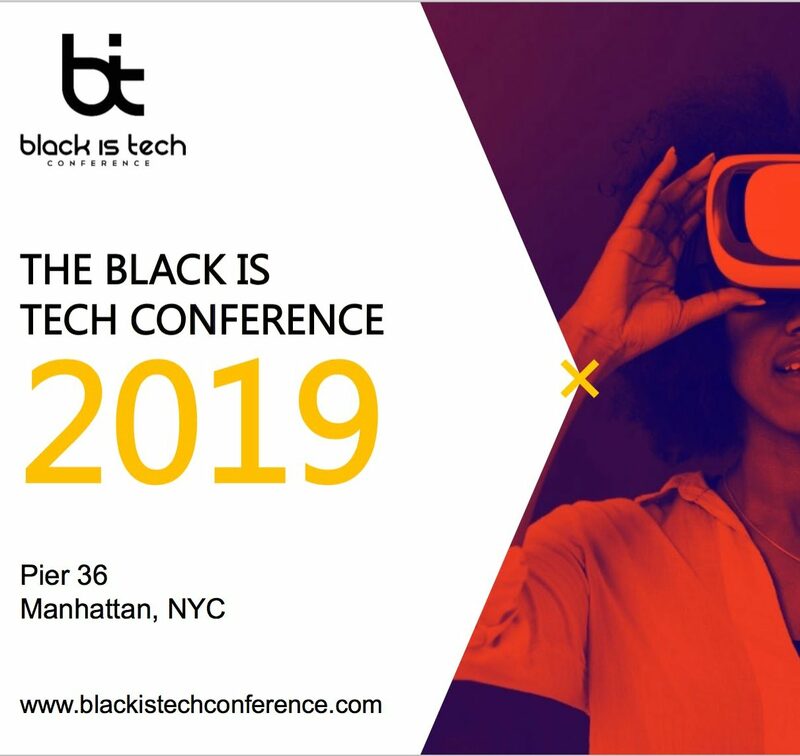 Over 1500 black and minority techies – including professionals, entrepreneurs, investors, students and more will gather at the famous Pier 36 in Manhattan, New York City for an experience in tech. If you are in the tech, business or any related field and would love to meet amazing Black and Minority Professionals professionals in the space, this is the event for you. You’ll also learn from industry professionals, meet and talk to investors, get recruitment opportunities and gain insights on how technology is changing the face of business and how you can be a part of it. – Speaking Sessions by over 40+ black and minority leaders in the technology and business space. – A Startup Exhibiton Hall with over 50 black and minority owned tech startups. – A Pitch Competiton with Special Prize give aways. SPECIAL HOLIDAY TICKET DISCOUNTS: For the next 48 hours, we are offering special Thanksgiving/Holiday Christmas Sales on 200 tickets at only $50 for the Early Bird Tickets and $100 for VIP Tickets. These tickets will not last.